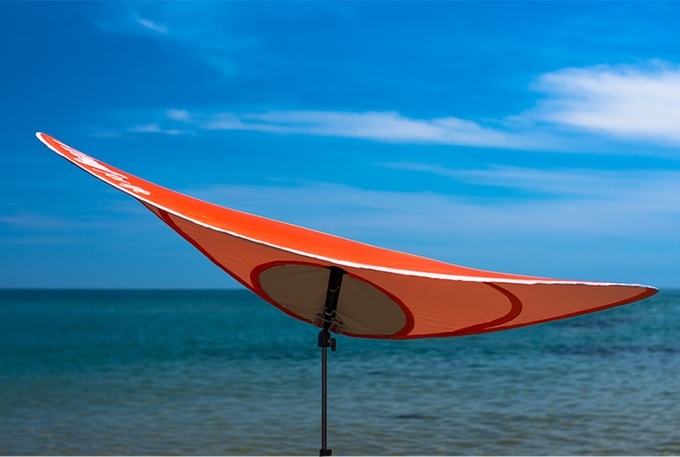 In all sunny places worldwide, people need protection from the sun, heat and UV rays. 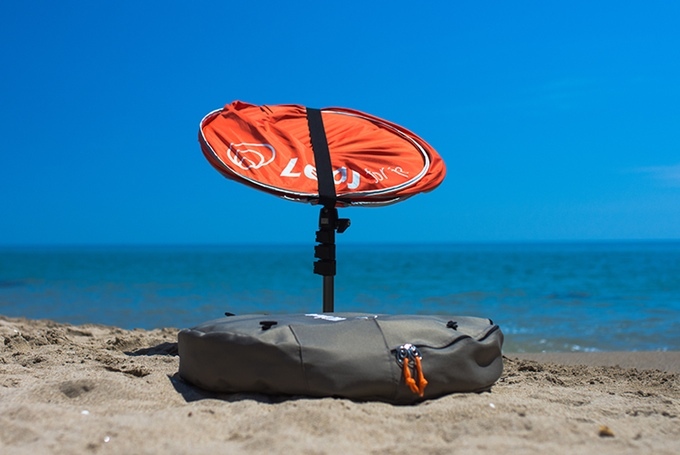 The traditional best solar backpacks help with charging our electronic devices which are available in the market packed with many unique features. 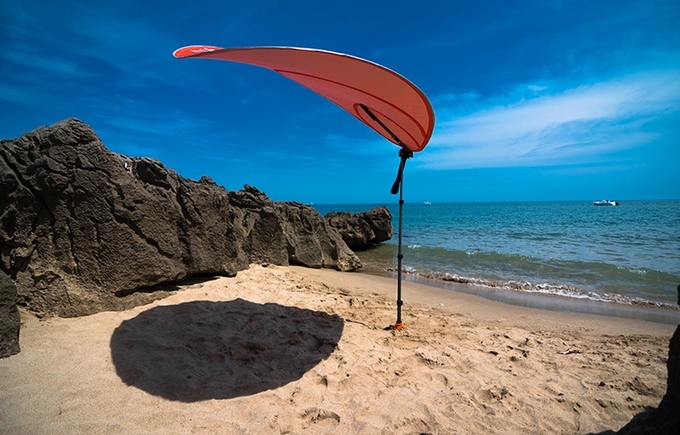 Here is an Innovative designed The LEAF for Life - Nomad Shadow SUN LEAF - solar beach umbrella that lets you charge your phones and tables while relaxing at the beach. 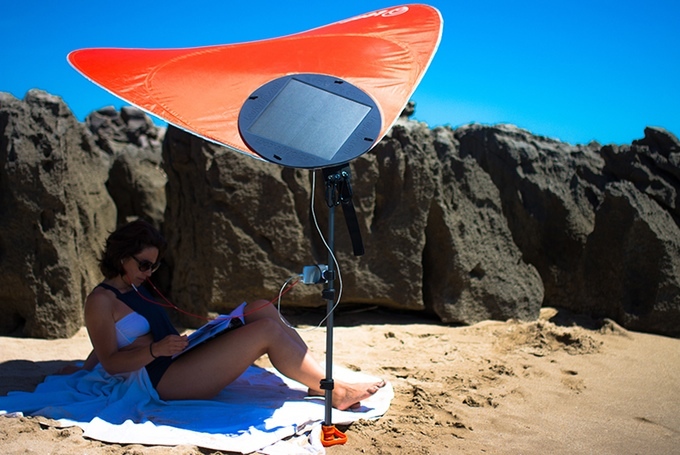 It looks like a regular shade but has specially designed with a movable 16W high efficiency solar panel to harness the power of the sun. 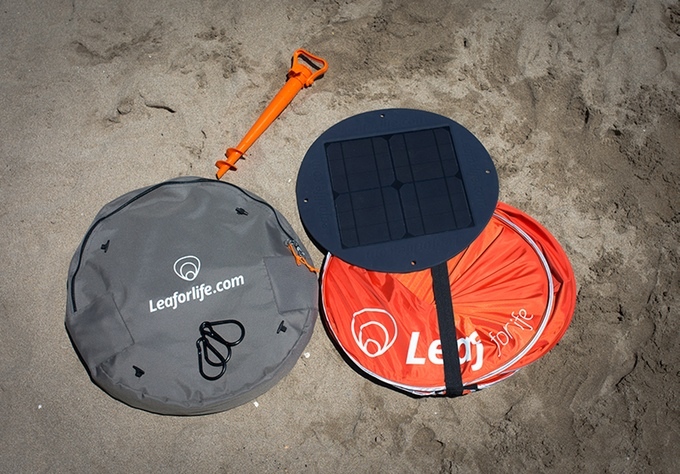 The solar panel can be attached independently either on the Leaf or onto the carrying bag. 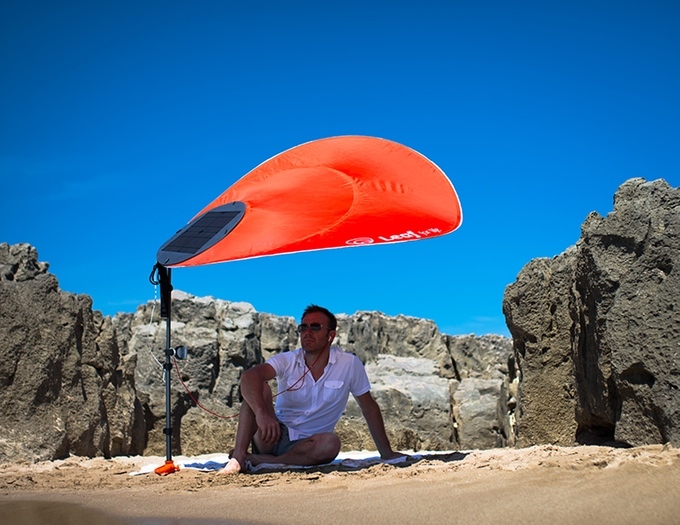 The Leaf for life parasol creates innovative shade experience and it can charge any smartphone and 5V DC electronic / electric devices. 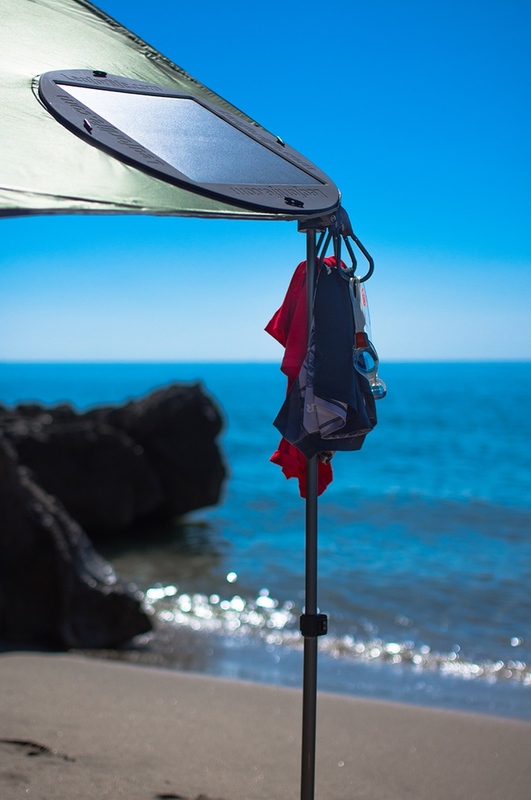 Two French friends and entrepreneurs - Cyrille Jourdain and Xavier Aubry - during their holidays in Spain on the Costa Brava, thought of re-designing the traditional parasol. 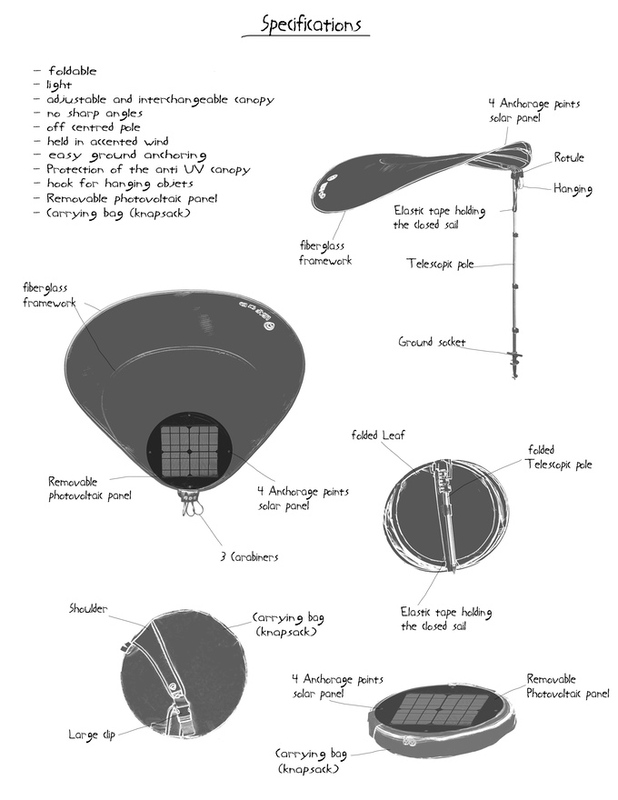 They re-imagined the parasol considering aspects like Innovation, design, technology, comfort, practicality and safety. 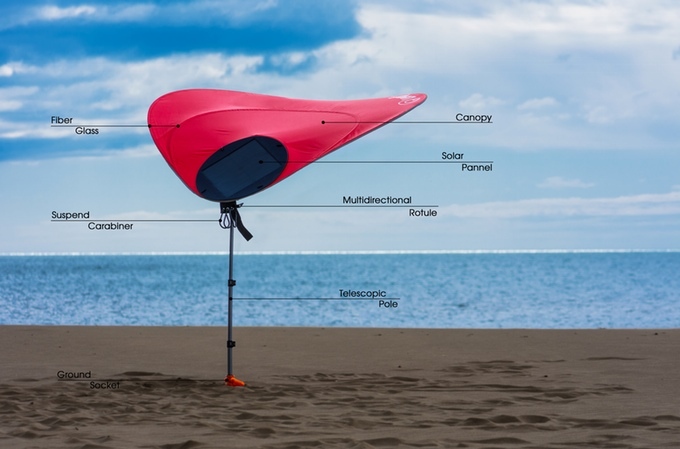 After several months of researched on its design, they found an effective solution – The Leaf for life Nomad Shadow Leaf. Smart, robust and easy to use, the Leaf for life was inspired by the natural form of the ‘Monstera Delicious of Central America’ leaf. 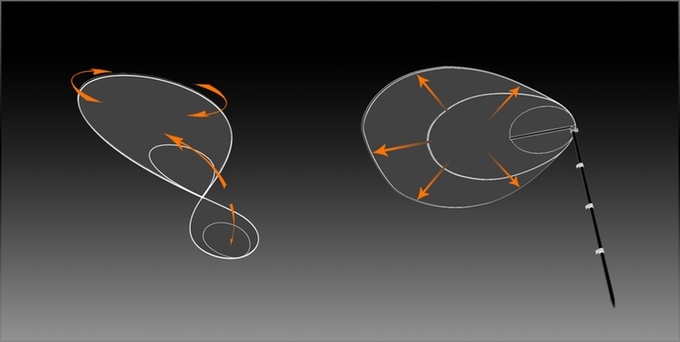 It combines the cutting-edge design with revolutionary renewable energy technology. It’s an aesthetic solution to the creation of shade whilst satisfying people’s other needs including nomad solar charging capabilities. 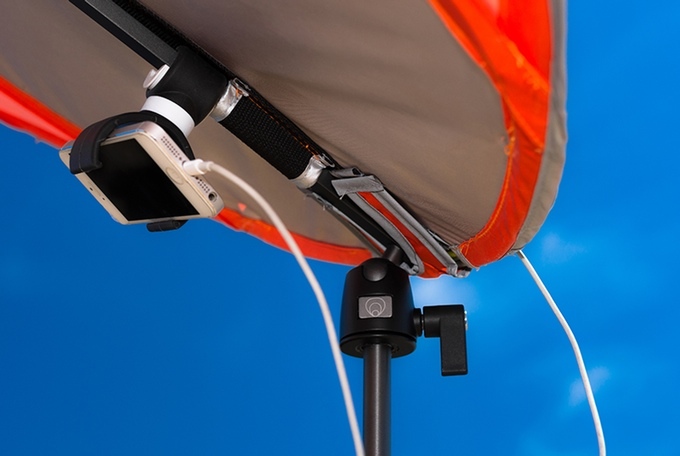 Due to its ergonomy and mobile features make your daily life easier and smarter. You can support the crowd funding campaign which is currently live for a goal of €25,000 at Kickstarter and still 26 days to go!